When a member of the baby boom generation sits down to write a review of Bon Mar jewelry, his or her review might demonstrate a tinge of envy. When those same boomers were younger, they might have had a parent who was constantly misplacing his or her glasses. A number of those parents hesitated to buy a glass chain, a chain that detracted from their effort to retain a look of youthfulness. Back then there was no Bon Mar jewelry. 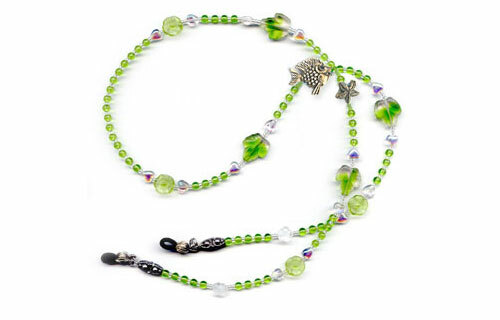 Bon Mar jewelry has provided glass wearers with a useful and attractive accessory. Today’s children can take pride in giving their parents such an accessory. Bon Mar jewelry recognizes the fact that not all glasses have a thick stem. Some have a very thin stem. The loops on the Bon Mar glass chains fit well on any type of glass stem. When a pair of glasses has been attached to one of the Bon Mar chains, the glass wearer does not have to worry about the glass stems stretching or breaking. Bon Mar jewelry appreciates the diversity that exists among those who wear glasses. Not all glass wearers have the same taste in fashion. For that reason, Bon Mar jewelry offers many different chains. The various 26-27 inch chains are grouped into named collections. There is, for example, the “earth” collection. Some of the chains in that collection would have suited a woman who spent much of the late 1960s looking for her glasses. She did finally buy a chain, but nothing as exciting as what can now be purchased from Bon Mar jewelry. That particular woman loved gardening. 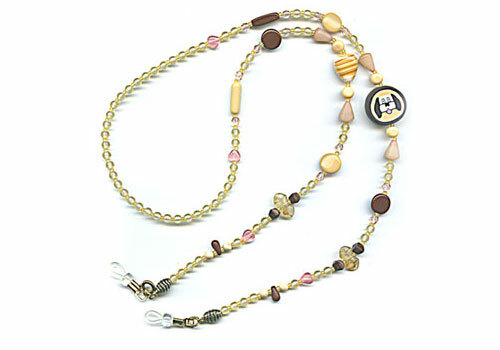 She would probably have enjoyed wearing the gardener chain in Bon Mar’s “earth” collection. She might also have found reason to wear one or more of the chains in Bon Mar’s “bright” collection. The woman whom this jewelry reviewer recalls used to do volunteer work at a local hospital. While working in the hospital gift shop, she had good reason to work to cheer-up any gloomy customer. She could have made good use of the whimsical chains sold by Bon Mar jewelry. This reviewer envies young women who can go online today and buy Bon Mar jewelry. This reviewer would have loved to have access to glass chains such as “Dark Montana Beauty.” That is one of the chains found in Bon Mar’s “elegance” collection. 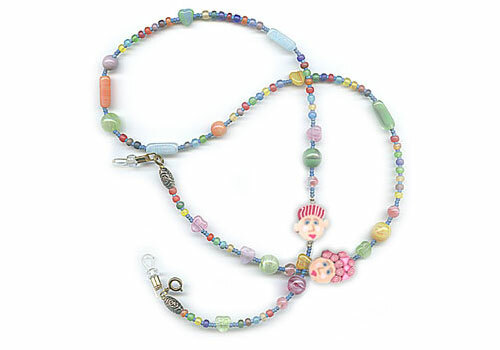 Perhaps the son or daughter of a baby boomer has learned that his or her parent was once a “flower child.” If so, then that son or daughter might want to buy the “flower child chain” offered by Bon Mar jewelry. Like some of the more whimsical chains, it can be found in the “bright” collection. The decision to buy any of the Bon Mar chains represents the follow-up to a bright idea.